We’re proud to announce that Rich Seymour has joined the Wisconsin team as our Service to the Armed Forces Director! Just retiring from the Army after 30 years, Rich is excited to start a career where he will continue to care for service members, veterans and their families. During his illustrious work with the Army, he completed multiple deployments and attained the rank of Command Sergeant Major, the highest enlisted rank in the Army. Throughout his career he became familiar with and utilized the Red Cross Services to the Armed Forces. Originally from Baraboo, Wisconsin, he’s called many places “home” over the years -the Republic of Panama, South Korea, and various places stateside. Along for the ride have been his wife and two sons – and his dogs, too. We could not be more excited to have Rich on the Red Cross team and back in his home state of Wisconsin! If you’d like to get involved with the Red Cross, click here. To look at Red Cross employment opportunities, click here. In honor of the many men and women who have served our country and continue to serve, we thank you today and everyday for your service. Even from a deathbed, a mother can save a child. This was the case for Neil Starke, serving in the US Coast Guard during WWII. Thanks to the American Red Cross Services to Armed Forces program he was able to share her last breaths, a visit which also saved his own life. In the heart of WWII, the USS El Paso was situated at 114° North & 120° East. From these decks, air & sea rescues off the Philippines coasts were conducted. It was in the heart of the fighting, he received a cablegram from the Red Cross which explained his father had fallen while riding a bus, with trauma to his head, he was sent to a mental institution. Meanwhile, in another hospital, his dying mother yearned to see her son one last time. His superior officers granted permission for a 38-day leave of absence. It was this stroke of timing that saved his life. Neil was taken off one ship, sailed to land on another and then boarded a military plane to fly back to the states. Altogether, the journey took two weeks. While at his mother’s bedside, he shared stories, a smile and the unmistakable touch of a mother’s hand until her passing. Even today, when sharing his story, he remains visibly shaken. Now with tears in his eyes, it was time to return to duty. “It was the first time I heard my father’s voice falter when saying good-bye.” Neil explains. By military plane, he flew back to the base and was ready to rejoin his ship. He waited a week. Then two, he was eager to join his team. “It was ironic and a blessing, I was pulled off that ship as it was declared lost in the Yellow Sea typhoon. While I never saw any man I served with again; the vessel was found two-weeks later. The boilers had been destroyed so it must have been tossing around like a toy in a washing machine,” Neil concluded. The Service to the Armed Forces division of the American Red Cross helps our military members and their families across the world with one primary function being Emergency Communications. If family needs to get in touch with a service member while they are on active duty, they can call the Red Cross Emergency Communication line for the military at 1-877-272-7337. The Red Cross will get family in touch, and provide vital verification services so that commanding officers can make informed decisions about emergency leave. The Red Cross is the only organization entrusted with this responsibility because of our longstanding history with the military, as well as our Fundamental Principles of Neutrality and Impartiality. Major General Dunbar shares his appreciation with Red Cross volunteers. We provided beverage, tissues and even diapers to attendees. April 2, 2014 – It was an honor to represent the American Red Cross at the Troop Send-off ceremony for the Wisconsin Army National Guard – 121st Field Artillery Alpha Battery Unit . For 79 brave men it was their next step before hitting the ground at Fort Bliss and then shipping off to Afghanistan. The air inside the 128th Air National Guard Refueling Wing was still. The faces of grandparents were stoic as their grandsons “go off to war” as one gentlemen shared with me. “I’m now back to changing diapers to help the family.” Many times the wives of soldiers rocked one baby on their chest while holding their spouse tight while another child hung onto their legs. The American Red Cross is proud to support our active duty members and their families around the clock – around the globe. Each member of this unit has received special briefings on what to do and who to call in case of emergencies. The American Red Cross will answer the call. Any military member and their family can “lean on us” by contacting their local Red Cross office or by calling 877-272-7337 for support. In honor of Memorial Day, we want to share with you a touching story and video about how a simple doll can help children cope with deployment of their mom or dad. American Red Cross volunteer Mar Tobiason presents Hug-A-Hero dolls to the Blankenship family. 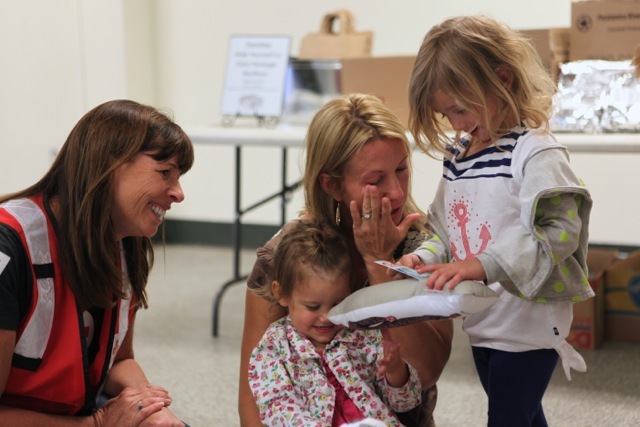 Lillie (3 ½) and Hallie (2) along with their mother Katherine Blankenship were delighted with tears of joy. Photos credit: Virginia Hart, American Red Cross Volunteer. That’s just one of the concerns military fathers have as they leave their young children for extended periods of time. Thanks to a partnership with the American Red Cross, children of the deployed 5th Marines Divisions, have a resounding “yes” to this question. “It’s not just for the kids, it’s also for ‘me’” stated Melissa Rooks, who is also the Family Resilience Coordinator. “To be honest, I give him a squeeze and kiss too.” Melissa’s son Zachary received a Hug-A-Hero Doll five-years ago. He still keeps it close to him day and night. “Through facial recognition, he remains physically and emotionally attached. It’s so much more powerful than a doll,” concludes Melissa. 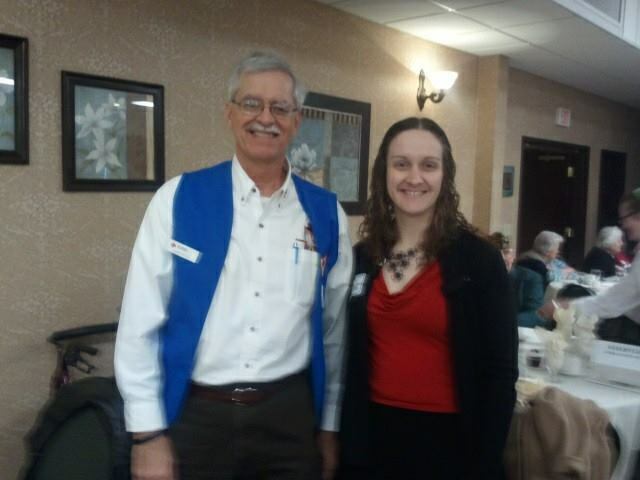 Chuck Patzer, left, with Adrianne Benson at the VA Home at King, volunteer appreciation lunch. Chuck Patzer, has accepted a new volunteer position as the American Red Cross Representative at The Wisconsin Veterans Home at King. In this role, he will provide volunteer activity leadership between the American Red Cross and the VA Home at King. Being a U.S. Army Vietnam Veteran himself, he is bringing his knowledge of military issues and passion for helping others together in this new exciting role! He is also a Disaster Action Team member in the Green Lake, Marquette, Waushara and Waupaca county area and supports the Heroes Musicales event in Wild Rose. Chuck has been actively volunteering at the VA Home at King for the past eight years. He has been visiting with members and providing transport to medical appointments for those in need. 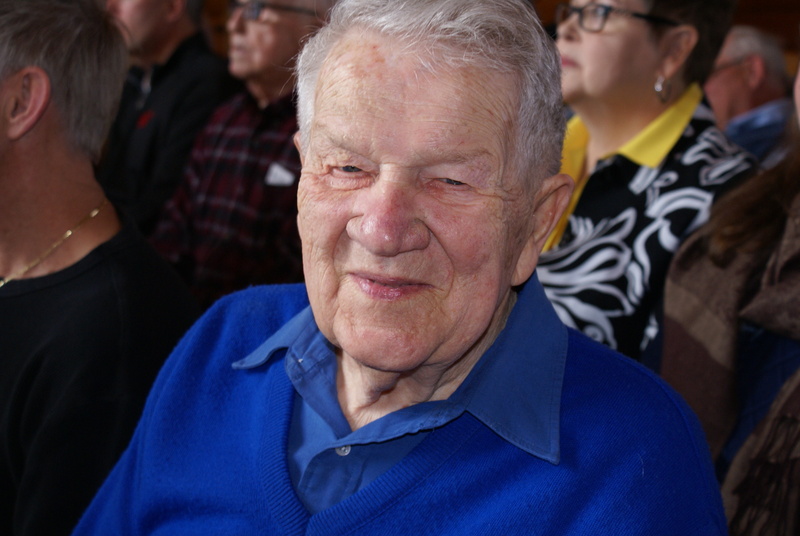 He will now be expanding his duties to include recruiting new volunteers to represent the Red Cross and finding the appropriate placement for these volunteers at the VA Home at King. Chuck will also be representing Red Cross on the facilities Recreation Committee. This committee is comprised of a number of Veteran Service Groups who meet regularly with the management of the facility to plan activities, address unmet needs and discuss changes and problems the facility is having. On Sunday, May 18, The Wisconsin Veterans Home at King is having an Open House from 10am – 3pm. Red Cross will have a resource booth there, and Chuck hopes to be able to meet and recruit possible volunteers for upcoming help at the Home. Our Silent Auction Team Heroes for the 7th Annual Musicales event. 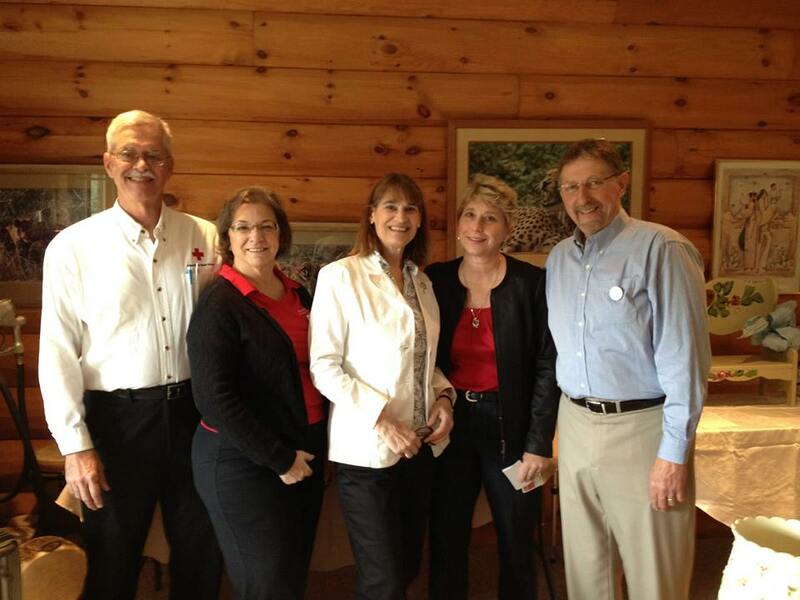 (l-r) Chuck and Josephine Patzer, Beth Osicka, Carole Cochrane and Barry Osicka. 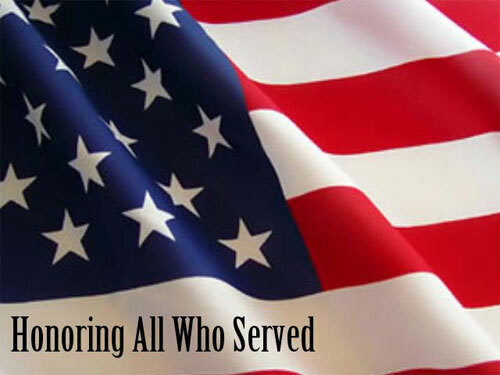 Support for Veterans, military members and their families is a year-round program. The Service to Armed Forces team partners with the Oscar G. Johnson VA Medical Center in Iron Mountain, Michigan, the Wisconsin Veterans Home at Union Grove and the Clement J. Zablocki VA Medical Center in Milwaukee. They also support troop send-offs & returns, the Holiday Mail for Heroes program along with offering several courses specifically for military members. The Emergency Communication program provides ‘local’ support for families with loved one serving around the globe during times of emergencies. To learn more visit redcross.org/SAF. 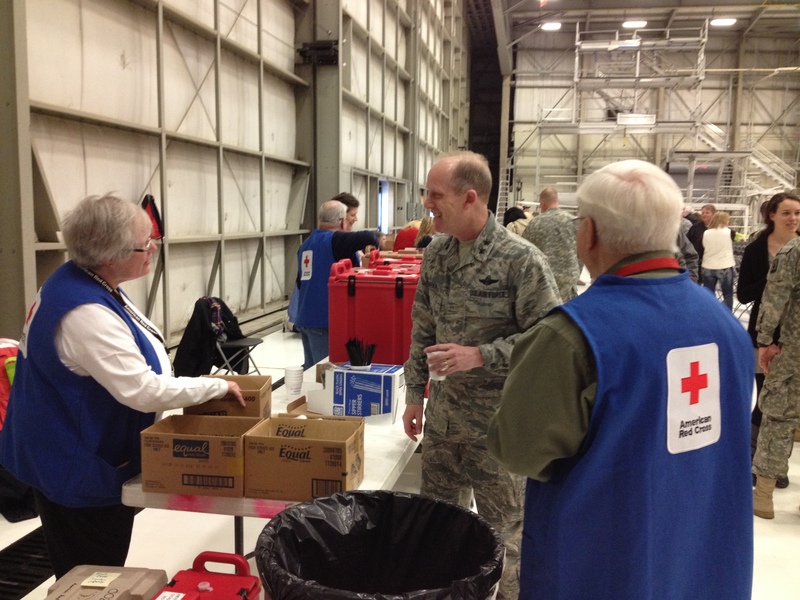 For volunteer opportunities please contact John Kost, Director Service to the Armed Forces, 920-733-4481, john.kost@redcross.org. 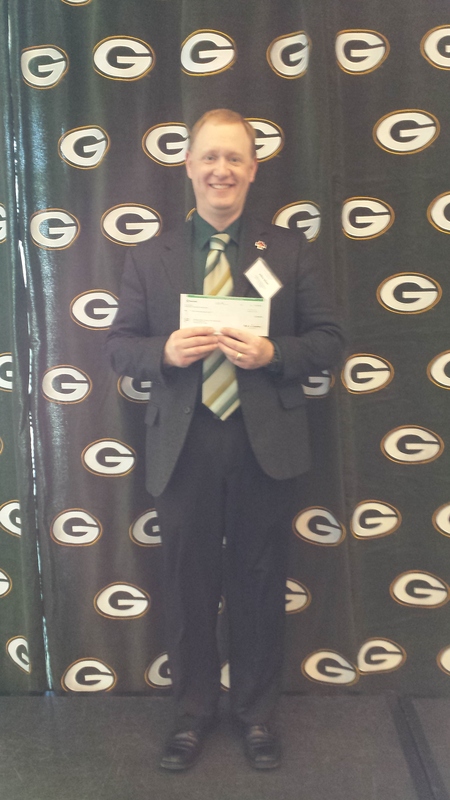 We are very pleased to have received a $2,000 grant from the Green Bay Packers Foundation to support United States Reserves and Wisconsin National Guard Family Resiliency Days. The money will be used to help establish a program that enables families to effectively gather information, resolve problems and maintain the mutual support necessary to reduce stress associated with separations, reintegration, and other challenges that come from military life. This year, 6,000 or more Reserve, Guard, and associated family members will attend two Family Resiliency Days in their area located throughout Eastern Wisconsin. Many times, the unit is based out of a different city where Reserve/Guard members and their family reside. The Reserve and Guard are challenged to provide a strong training and home front with their soldiers. These families live and work in our communities, are a part of our economies, and are our neighbors and friends. Ensuring they have solid training, a strong home front, and spirited support is our mission. When service members are strong, we are all strong. 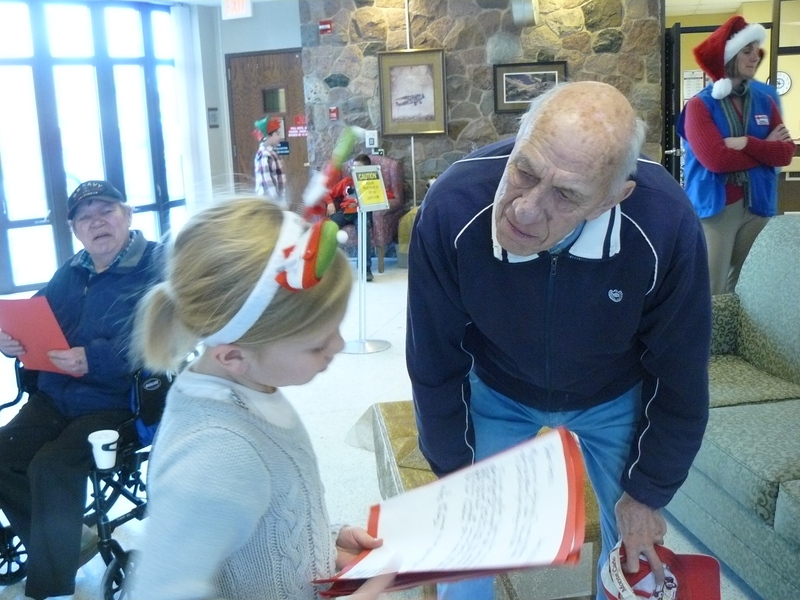 Students from Franklin Elementary in Oshkosh read their letters and cards to the Veterans at the Wisconsin Veteran’s Home at King. People across the country sent in more than 2.1 million cards to the 2013 American Red Cross Holiday Mail for Heroes project, a record level of holiday greetings for members of the United States military, Veterans and their families. Cards came from people from all walks of life: church groups, Boy Scouts, Girl Scouts, clubs, businesses, families and thousands of school children. Ten National Football League teams supported the program by helping host card-signing events at games. 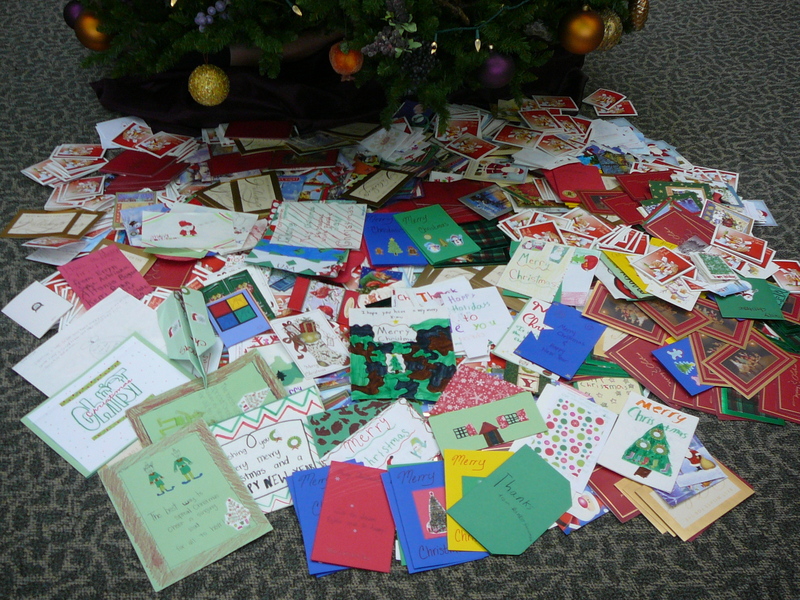 2,944 cards collected from the employees of Humana from their three locations in Green Bay. Locally, we collected around 50,000 cards for the state of Wisconsin. The cards went to a special post office box for screening, packaging and were shipped to Red Cross offices around the world. Volunteers took time out of their busy holiday schedules to help screen, sort and deliver the holiday greetings to the military, veterans and their families. Holiday Mail for Heroes began in December 2007 when Walter Reed Army Medical Center in Washington, D.C. approached the Red Cross to assist in distributing thousands of holiday cards to hospitalized servicemen and women. The program has grown to become a nationwide effort to honor and remember the nation’s military during the holiday season. Holiday Mail for Heroes is part of the Red Cross Service to the Armed Forces program. For more than 130 years, the Red Cross has provided comfort and support to troops – including the 2 million current members, 24 million veterans and the families who support all of them.